Easy, seamless and glass bead blasted. The combination of deep drawing and metal parts uses every millimeter for comfort. 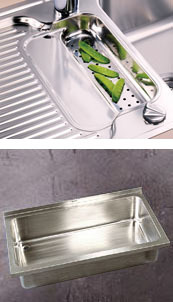 Fillets instead narrow edges facilitate hygienic care. The good into the pot, the other in the colander. 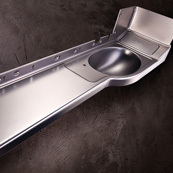 Perfect fit for quality sinks, the deep-drawn part impresses through its polished surface and excellent workmanship. 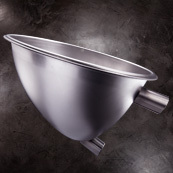 In order to withstand the thousandfold extreme stress, the vacuum toilet of Roediger Vacuum GmbH is created by a ingenious combination of deep drawing, annealing and shaping.